I followed the recipe. But there was no unsalted butter in my fridge, so I used salted butter and deleted the salt from ingredients. 1. Put butter and white chocolate in a bowl. Then set the bowl in hot water. Melt them and mix them. 2. Add in sugar, banana, egg, egg, vanilla in order. Mix well before adding new ingredient. 3. At last add in flour. Mix till just combined. Pour into baking pan. Bake for 15-20 mins. Check with toothpick before taking it out. 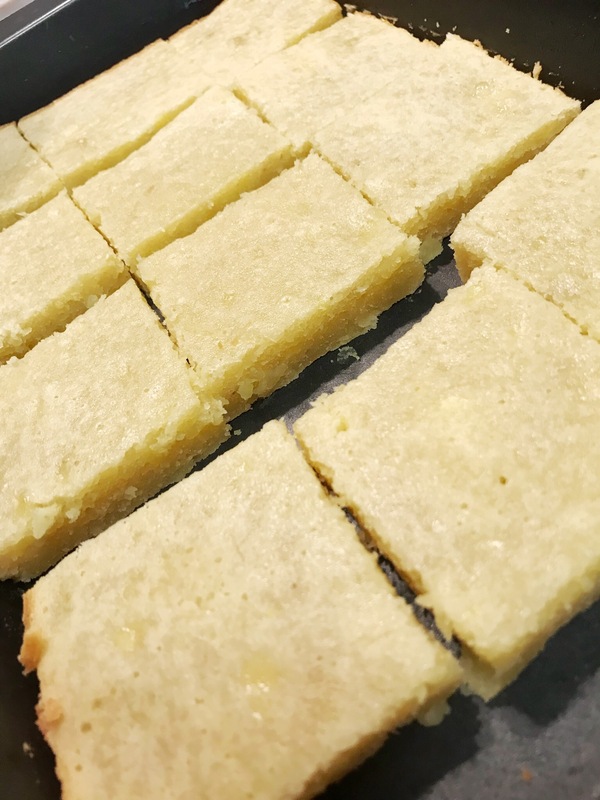 Let it cool down completely and cut into squares. My husband loved it very very much.